The Sales Coordinator will process and coordinate information, management reports and Carolina Handling procedures. They will support Sales Management and Sales Representatives daily through order management and by tracking the sale from order to delivery. This is a fast paced environment where the ability to multitask and prioritize requests requires a strong focus in customer service. You must be able to work on a team, think on your feet and enjoy problem solving with attention to detail and accurate data entry. • Assist Regional Sales Managers with communications relating to Sales Representatives in assigned region. • Assist Sales Representatives with paperwork, ensuring accuracy and timeliness. Coordinate sales functions with other departments within the organization to ensure timely communications and delivery of equipment sold. • Handle customer questions, complaints and concerns and relate it to Sales Representative and Management in a pleasant and professional manner. • Verify sales file is complete. • Execute Irium system policies and procedures. • Calculate and record Sales Representatives’ commission. • Set-up and maintain customer files. 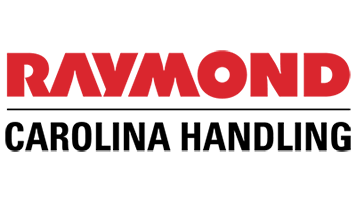 • Act as a liaison for sales force between all Carolina Handling departments, Raymond and other vendors. • Secure approval from appropriate sales management for demo equipment. • Instruct shop in truck preparation and ensure timely and satisfactory completion. • Coordinate delivery and pick-up of demo and new equipment with Cartage Department and Sales Representative. • Maintain accurate and current stock inventory list. • Prepare customer acknowledgement letters. • Prepare and distribute regular monthly management reports: Raymond/ rolling forecasts, Anticipated booking/billings, Commission sheets for Sales Associates, year-to-date Gross Profit/Commission reports, Business Plan update for Sales Associates, Actual bookings for month, Projected billing report and quote activity reports for key vendors. • Process and track credit through approval process, internal and external. • Maintain regular contact with sales associates with regard to current month bookings, routine deadlines and special assignments, including sales incentive programs, vendor contests and changes vendors make in sales policies or procedures. • Carry out department and company policies and procedures. • Assist Sales Management and Sales Representatives to maintain an accurate customer database. • Work in a team atmosphere toward the goals and objectives of your regional team, department and company. • Project a courteous and professional image at all times. • Maintain a safe and non-hazardous work environment. • Distribute shipping schedules, products pricing and manual updates. • Maintain sales manual, i.e. filing updates when received. • Attend regional sales meetings. • Provide switchboard backup, as needed. • Perform other duties as assigned by manager/supervisor. • Minimum of high school diploma or equivalent. • 2+ experience in Sales or Administrative Support function. • Excellent communication skills: written, verbal and listening. • Strong desire to exceed customer needs. • Must exhibit detail orientation, with a good sense of urgency. • Must be a self-starter and team-oriented. • Must be able to readily accept challenges. • Basic understanding of all office equipment, i.e. : computer, fax machine, copier, microfiche, multi-line phone, 10 key calculator, postage meter and filing systems.